Steps in the Museum are exhibited only the poles, which shares with the Virgen de los Dolores. The image is in the parish of San Vicente Martir de Bilbao (Calle San Vicente 3, Abando), where he worships. 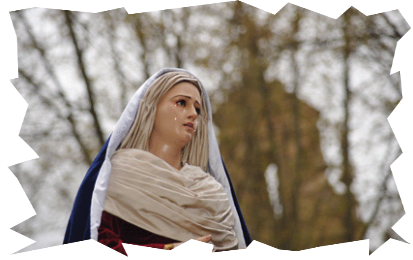 Virgin is a joyful, accompanying the procession of Jesus entering Jerusalem.